Northern Lights.mn returns to Fort Snelling State Park this July with a bevy of artist projects originally presented at this year’s Northern Spark festival. These interactive stations playfully engage you in serious subjects but who can tell, it’s a game! 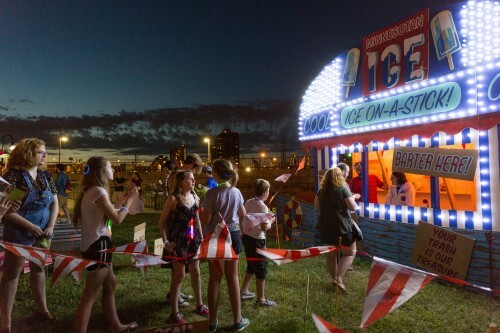 Barter for an ice pop from the future, play games at the Climate Carnival, watch as a 3-D chalk drawing emerges on the sidewalk and hang out in a vintage trailer-turned-Climate Chaser recording studio. Hang out in a re-habbed vintage trailer called the Climate Chaser and record your backyard or state park observations about your immediate environment. Pick up a Phenology Passport to use all year. Watch as McCann draws a 3-D world in chalk on the sidewalk over the course of the day. Visit a state-fair concession stand from a dystopian Minnesotan future; one where potable water is a special occasion. Follow the signs and barter for a treat that will rocket you into the ice age. Step up and try your hand a classic carnival games with a climate twist. Test your strength with Pedal Power, save the seals with Collateral Cleanup, guess waste metrics at the Guessing Booth, take a shot at Recycle Toss, or clean up the ocean with The Claw Cleaner. Amanda Browder, commissioned light project “At Night We Light Up” for the facade of the Indianapolis Power and Light building in downtown Indianapolis, IN Light IN Festival. 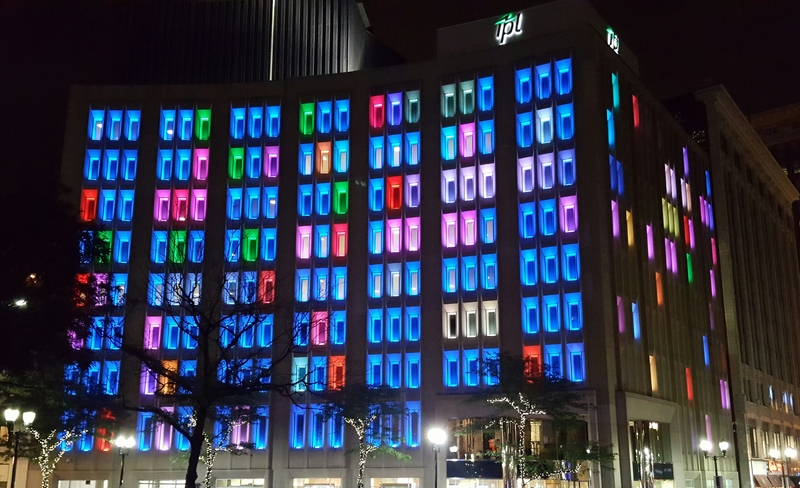 Northern Lights.mn is excited to be partnering with the Central Indiana Community Foundation to co-present IN Light IN, the inaugural Indianapolis Light Festival August 26 and 27. IN Light IN is a dazzling, free, two-day interactive light festival, featuring artists and performers from Indianapolis, the Twin Cities and beyond, at some of the city’s most inspiring sites. Installations and performances by Anila Quayyum Agha, Aphidoidea, Amanda Browder, Tiffany Carbonneau and Susanna Crum, Daily Tous Les Jours, Alexis Gideon, Ryan Patrick Griffin, Owens + Crawley, Jamie Pawlus, Robin Schwartzman, Piotr Szyhalski, YesYesNo, Lauren Zoll, and many other artists will encourage exploration and participation of Indianapolis along the Downtown Canal and the adjacent Indianapolis Cultural Trail. We have asked 365 photographers from around the world to document such occurrences; to capture climate change and the struggle to control it at the local level, as it appears as part of everyday life. 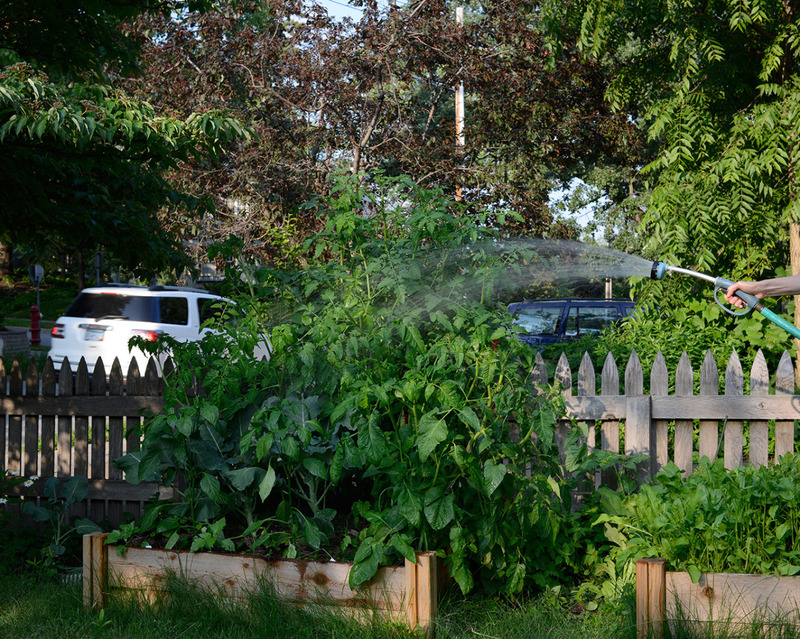 Every day for the next year, we will release one of these photographs and stories on Neighborhood Climate Change and other social media channels. Photos from Northern Spark 2016 are now ready for viewing. Take a look back at your favorite projects and relive the moments from Climate Chaos | Climate Rising. And mark your calendar for next year’s festival along the Green Line on June 10, 2017. While you’re at it, check out Make It. 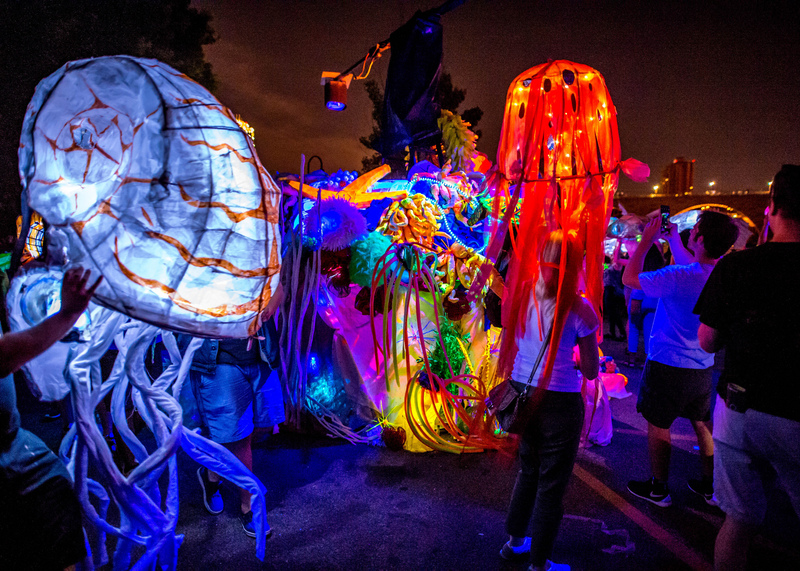 MSP.’s recap of Northern Spark projects. 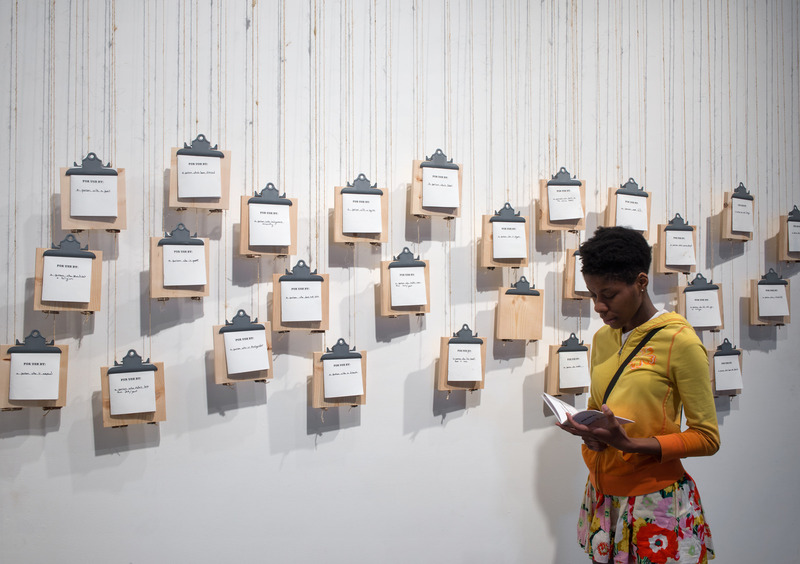 Check out the videos of these AOV7 artists who presented projects at the Soap Factory this spring. You can see the AOV8 exhibition at the Nash Gallery in June 2017. At Northern Lights.mn we believe in the power of art in response to violence. In times when injustice is overwhelming and options seem limited, art can heal, question, bring people together, and open up possibilities for change. In this season of uncertainty and distress, it is important to create and share art addressing police brutality and racial injustice. Please consider contributing your artwork to Pollen’s call for art (due today), and let us know if you have additional opportunities we can share.